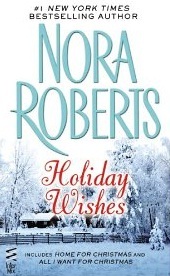 I’ll probably also buy this Nora Roberts holiday book coming out on December 11th. It's a bit pricey for a Kindle book at $6.99, and more than I might ordinarily pay, but this author writes a fine tale. How about you, readers? Do you do any kind of special theme reading for the holidays? Cookbooks? Religious? 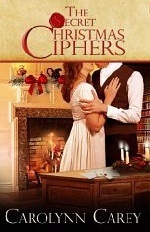 Holiday fiction? What are some of your favorite books? Please leave us a comment in the messages! Dani Greer is founding member of the Blood-Red Pencil and getting ready to unplug for the holidays! 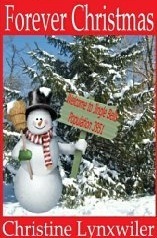 She wishes you all safe and warm season's greetings! 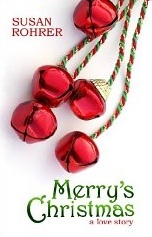 For something completely different in Christmas stories, I would recommend Christmas for Joshua, a sensitive story of interfaith celebration by Avi Azrieli, and, for mystery fans, Christmas Eve Can Kill You by Bill Marantz. I'm the Scrooge here. I don't celebrate Christmas, and all I see is commercialism and buy, buy, buy. I avoid Christmas stories. I keep on reading my 'regular' books. Probably even more than usual, because I avoid going out and fighting crowds about as much as I ignore Christmas books. But I certainly don't begrudge anyone else's love of them. Dani, considering your regular post is called "Hearing Voices," I thought you'd get a kick out of a game I like to play here at BRP: guess the poster. Since our names aren't at the top, I try to guess from topic and writing style alone who the author is. I'm getting good at it. I had this one in three words" "I'm a nut" = Dani! 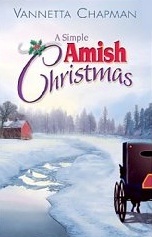 I have no interest in new Christmas stories because for me it's all about tradition. So every year I get out the same ragtag, crumbling hardback copy of The NIght Before Christmas, woe again the day I thought it was a good idea to mark up its endpapers with crayon, and connect with ma in her kerchief and pa in his cap. That's impressive ... all I can manage in December is my annual Christmas letter ... and that's in peril this year. I like to read new holiday short stories, but don't rush to read a new novel. Like, Kathryn, I do love The Night Before Christmas and used to read that every year to my kids and then young grandkids. Music is what gets me into the holiday spirit, and this is when I play Christmas songs on my CD player, or get out my guitar and do it for real. I haven't downloaded any Christmas books. I might, but when I start thinking about it, I look at the stack of books I already have, waiting to be read. This does make me want to start getting down the Christmas boxes and pulling out the books we have from when the kids were little, though! Oh, and a tradition at our house is reading A Child's Christmas in Wales over Christmas morning breakfast. In my husband's marvelous, deep reading voice. Music will be lacking this year, Maryann, with my loss of hearing. :( And, Helen, I wonder about the overload of books. I have dozens I still need to read as well. Maybe the idea of reading some fluff on the Kindle is all the more appealing because it doesn't seem like work. Huh. 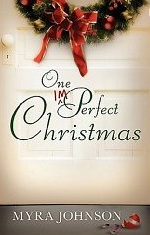 Like Terry, I don't do Christmas books. However, one of the last novels I had time to read for pleasure (and actually enjoyed) was The Vineyard by Barbara Delinsky, published in 2000. Later books by the same author, unfortunately, were so poorly edited that I quit reading any of her stories.